No matter what kind of mobile technology that you have in your pocket it quickly becomes yesterday’s news and that may never be more evident than right now as telecommunications providers worldwide are working on 5G. The industry is hoping that 5G will be good enough and will be a game changer in the telecommunication industry. 5G is a network system which has much higher speed and capacity, and much lower latency. 5G is centered around the idea that the Internet of Things that is connected devices that enable self-driving cars automated homes and more. It will become crucial shortly, and that mobile data networks will be very robust to handle it all with wearables appliances vehicles mobile AR and VR devices and so on. 5G, however, is not only aiming to reduce latency to as low as one millisecond to allow real-time operation of important devices. 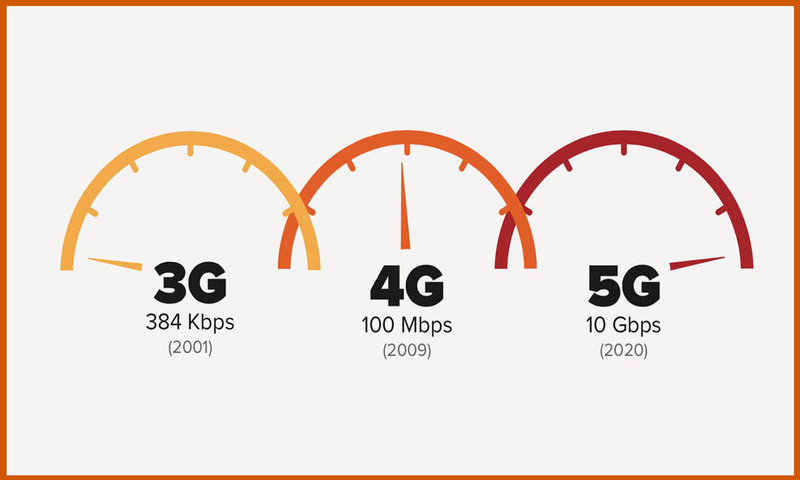 It also boasts a maximum speed of 20 gigabits per second way faster than the quickest LTE networks today or in Google Fiber connections.It looks like the bare minimum for the average user will be about a hundred megabits. Also, read How will the 5G network work? 5G is hitting the market sometime in 2019 with it becoming widespread around 2025 since providers not only are trying to make 5G more uniform standards than what exists today to ensure better compatibility around the world, but they also need time to build more infrastructure. Infrastructure would include signal boosters since 5G is shorter wavelength means it’s more prone to signal degradation across great distances but even though most of us will have to wait awhile to experience 5G trials are already underway in a few places in the United States. Small scale deployments are expected at the 2018 and 2020 Olympics to give attendees an early look at the tech before it reaches the mainstream. Ananth Talam is a professional blogger, gamer and content developer who develops creative content based on technology, human emotions and entertainment by day. With coffee running through his veins, he enthusiastically battles each day, two shots at a time.